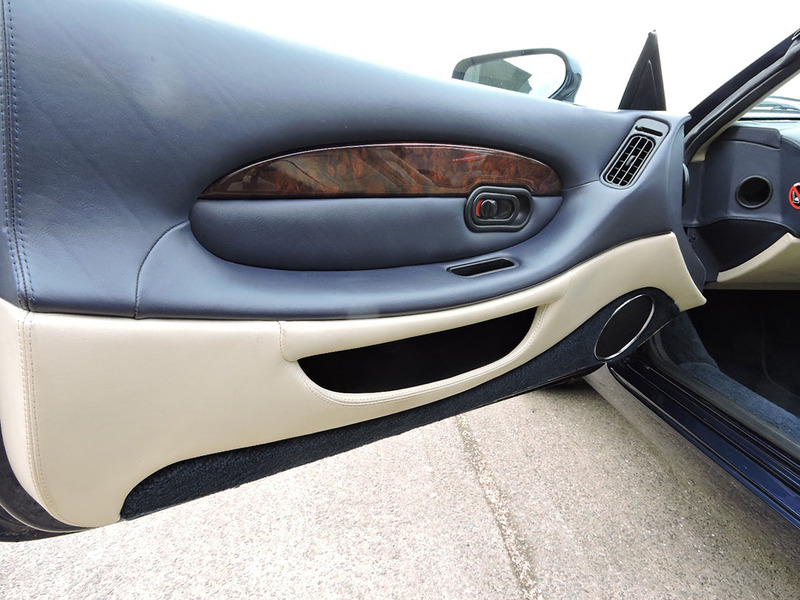 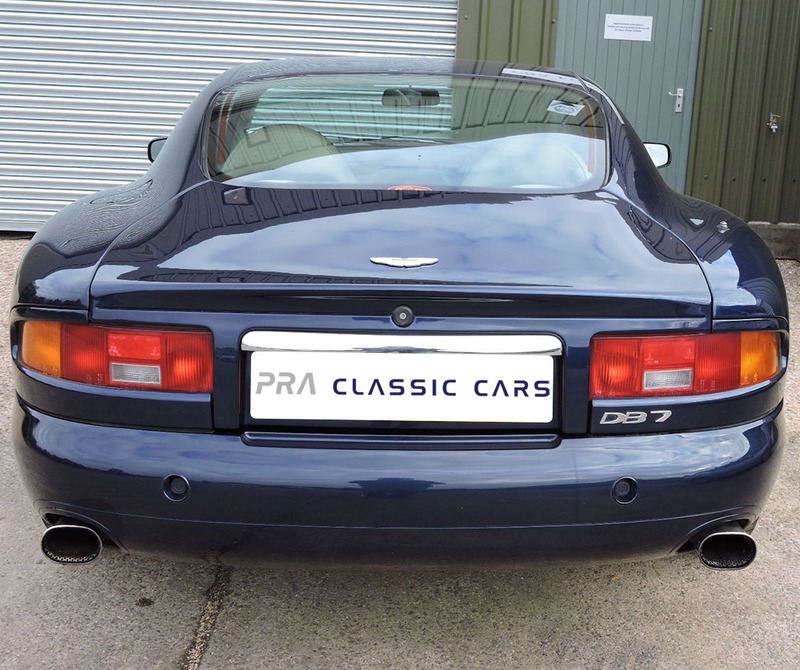 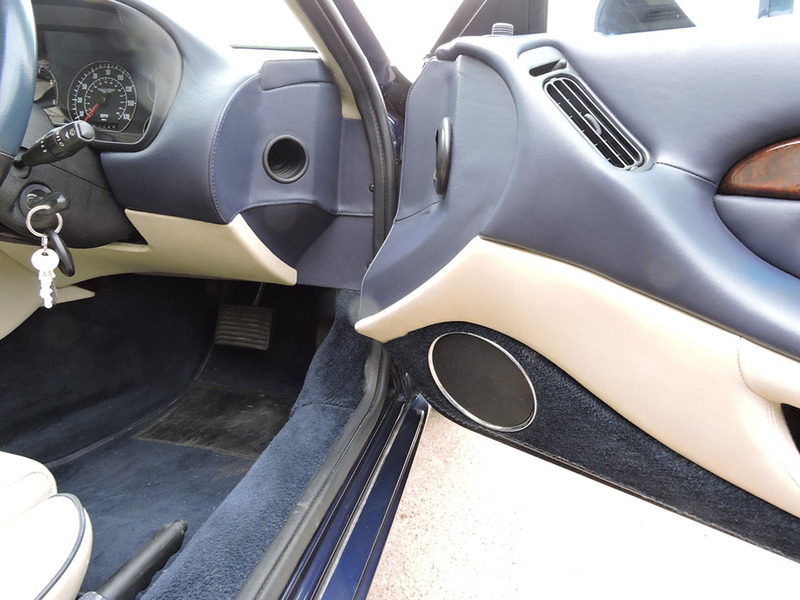 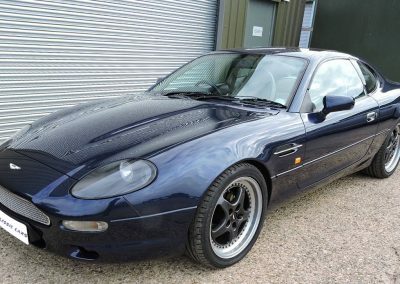 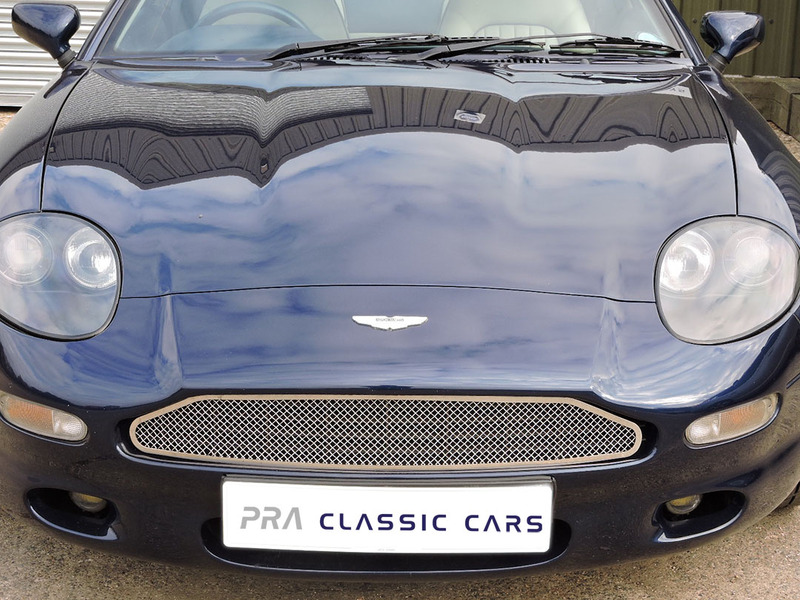 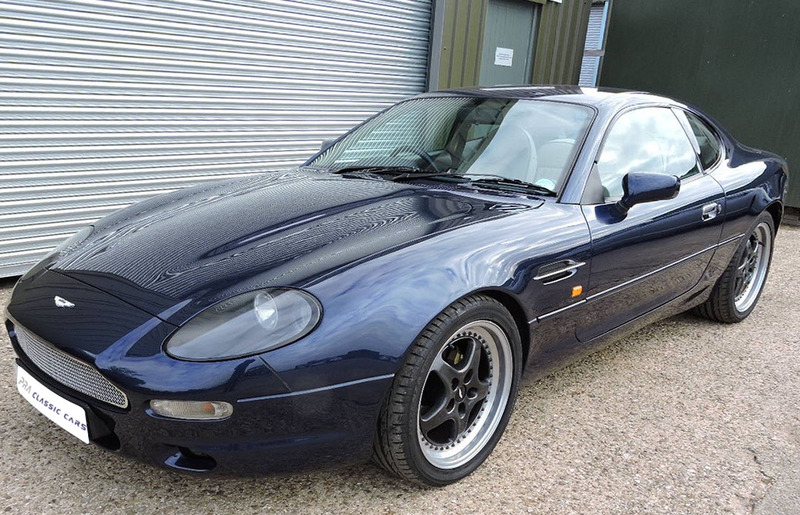 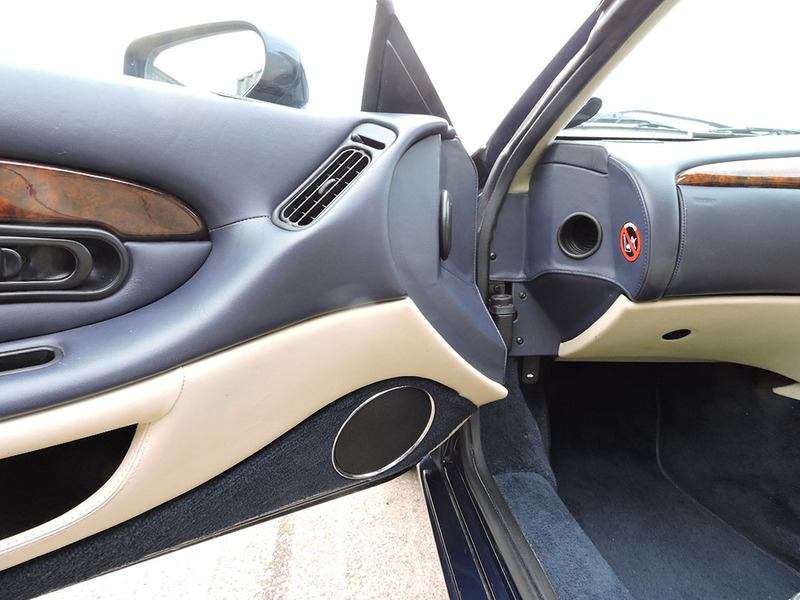 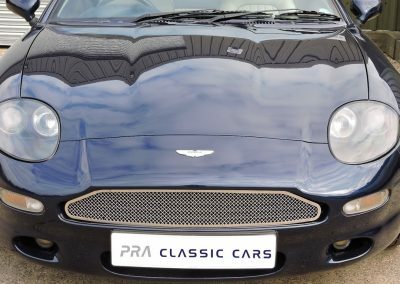 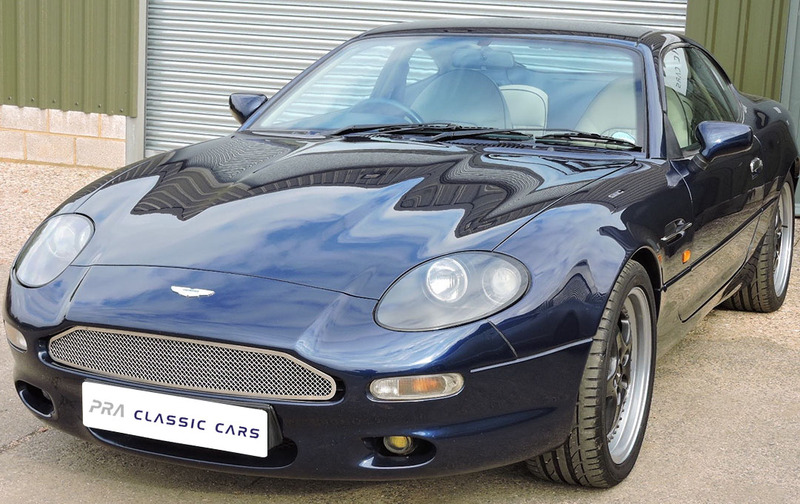 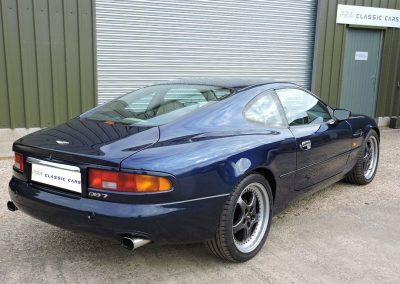 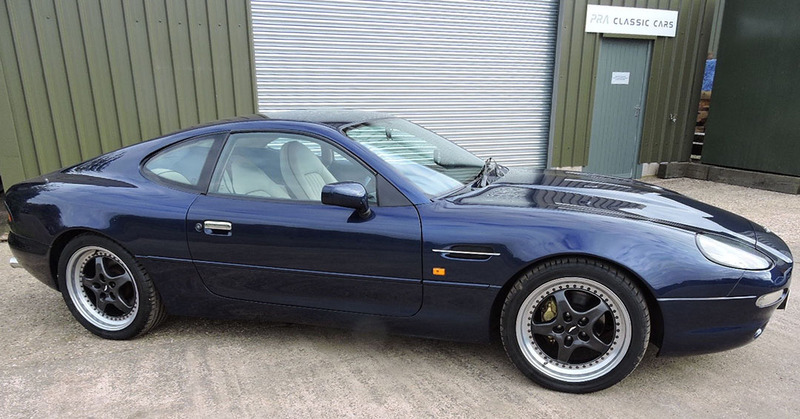 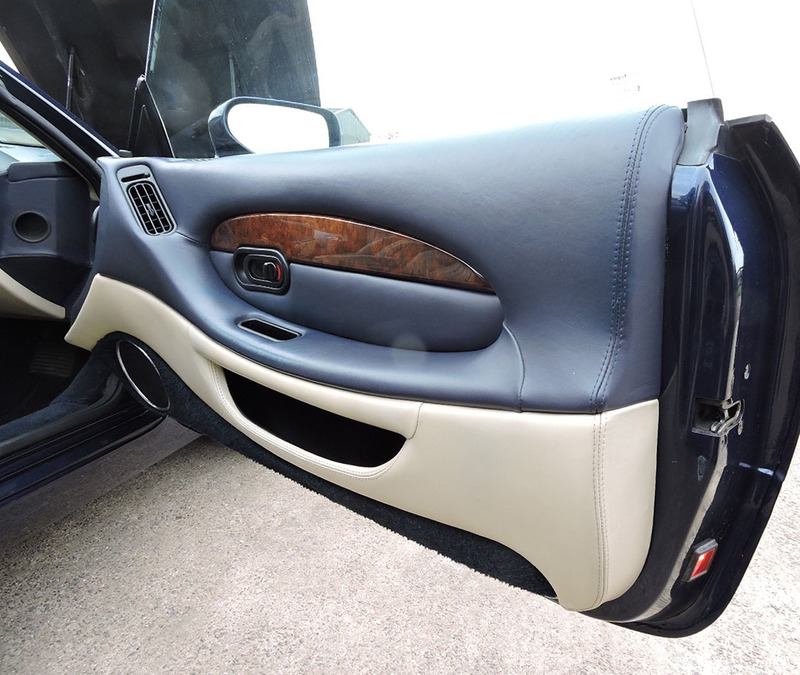 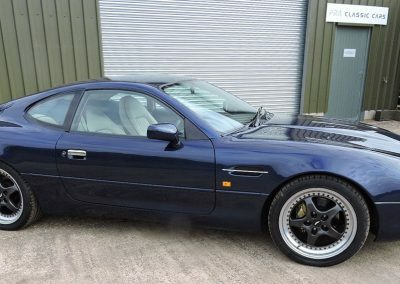 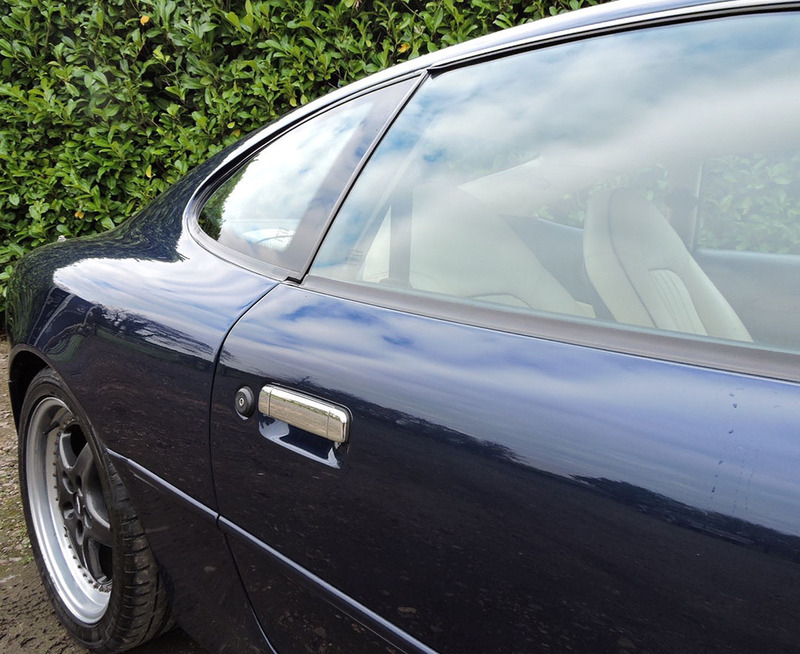 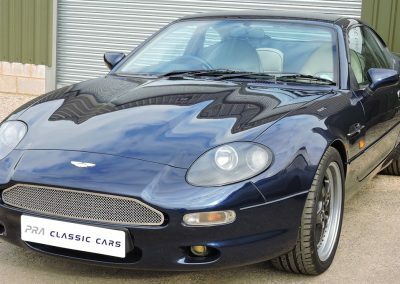 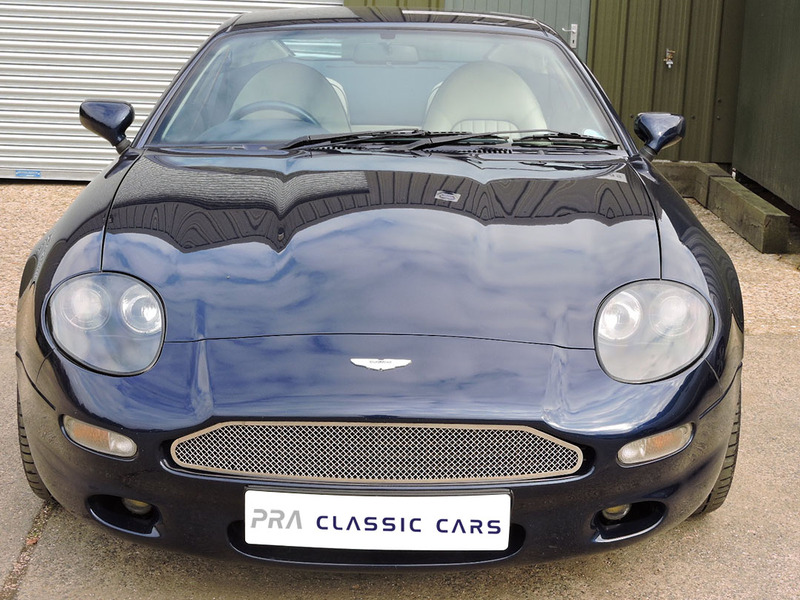 We are thrilled to offer on behalf of our client this gorgeous Aston Martin DB7 Auto. 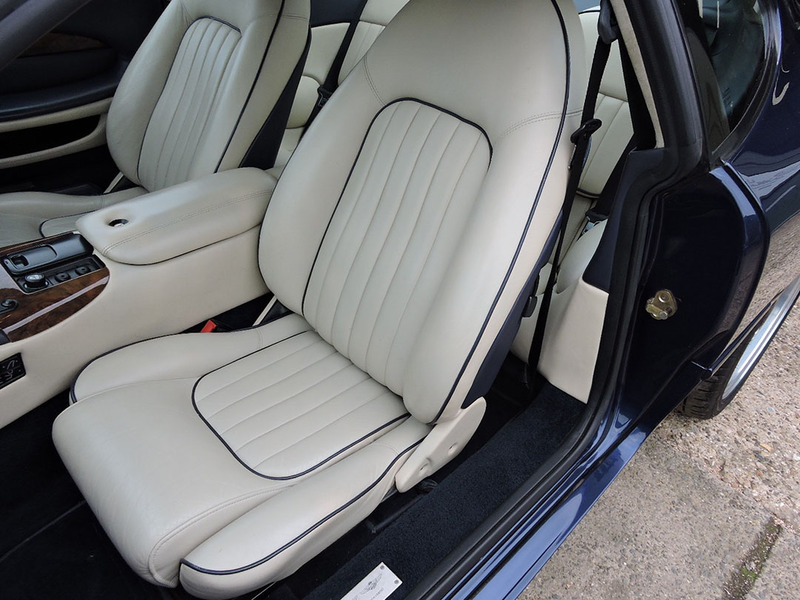 Finished in Mendip blue metallic with parchment Connolly hide upholstery and contrasting navy Wilton carpets. 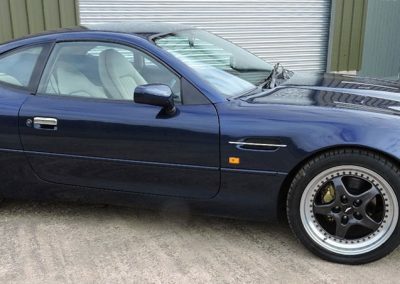 With an indicated 73200 miles which we believe to be genuine and a full-service history she has an MOT until September 18 and was serviced just 200 miles ago. 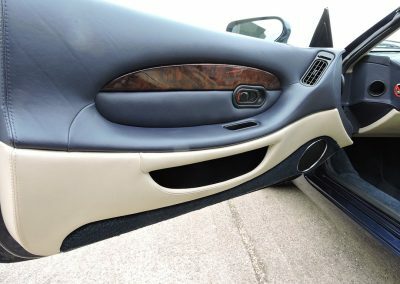 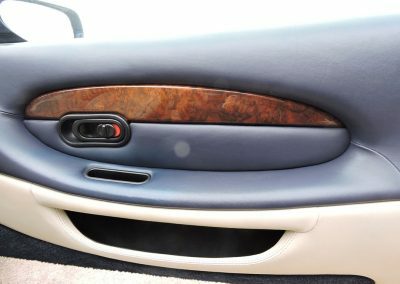 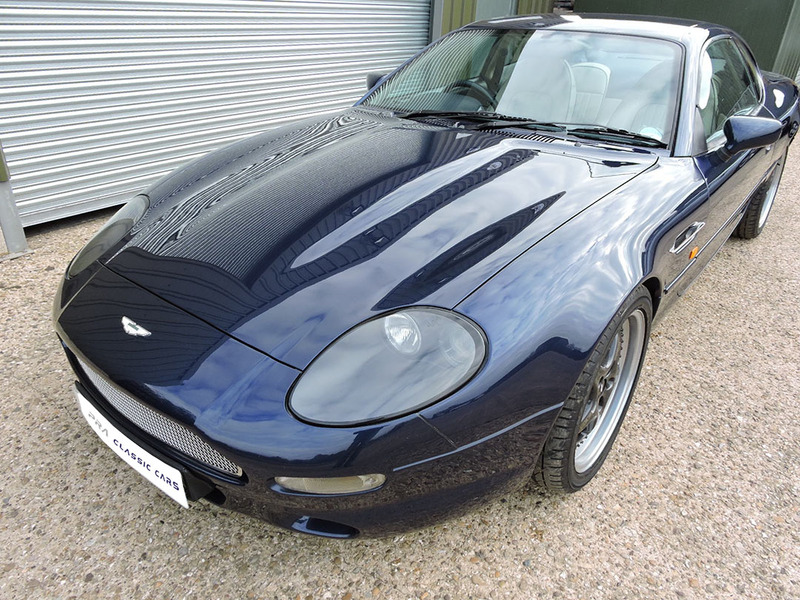 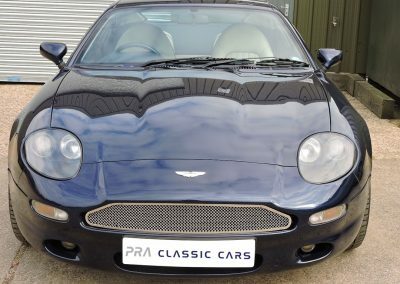 This DB7 has 16 service stamps in the service book and drives beautifully and is in super condition and low mileage for the cars age. Please note the number plate 3532R is for sale separately and will not come with the car. 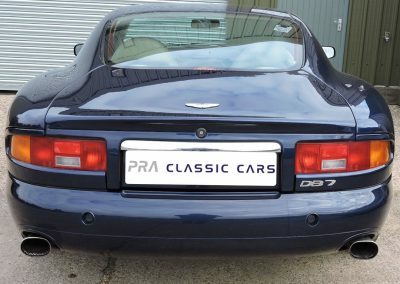 Offers in the region of £2500 will secure the number plate. 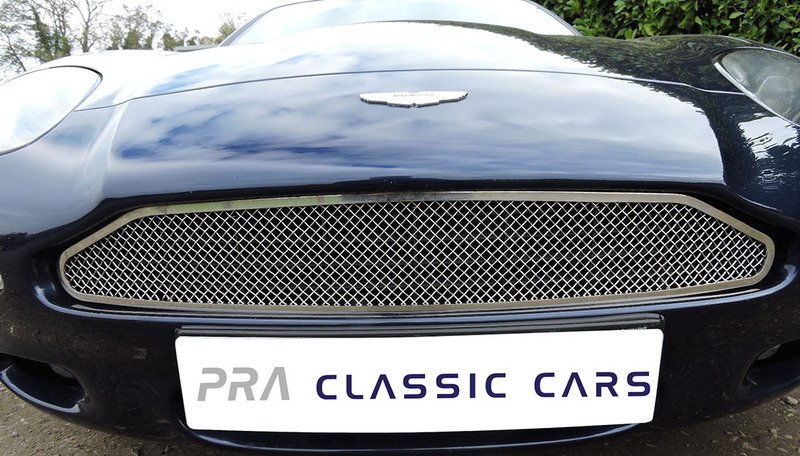 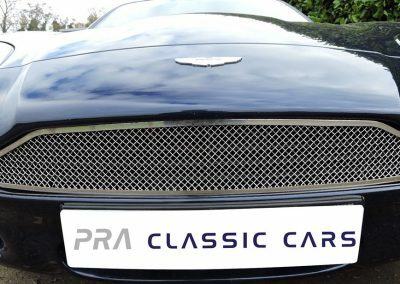 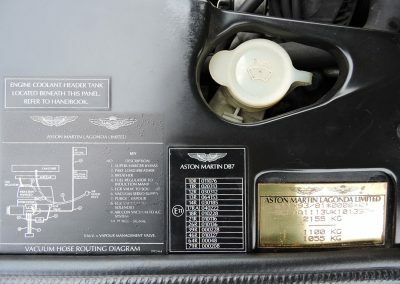 As this is a commission sale on behalf of our client the Aston comes with no warranty. 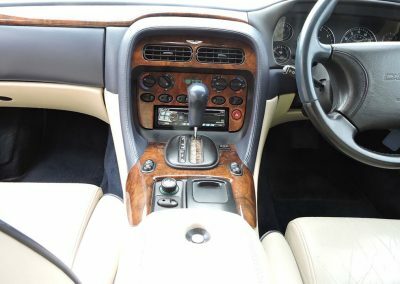 Please note that we are not aware of any faults on this car, but you are welcome to arrange your own independent inspection if you wish. 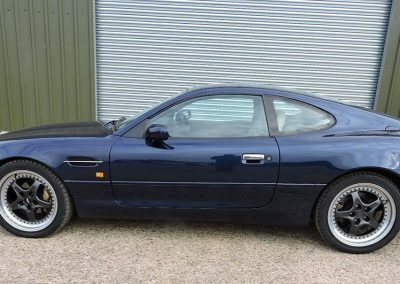 MOT to Sept 18. 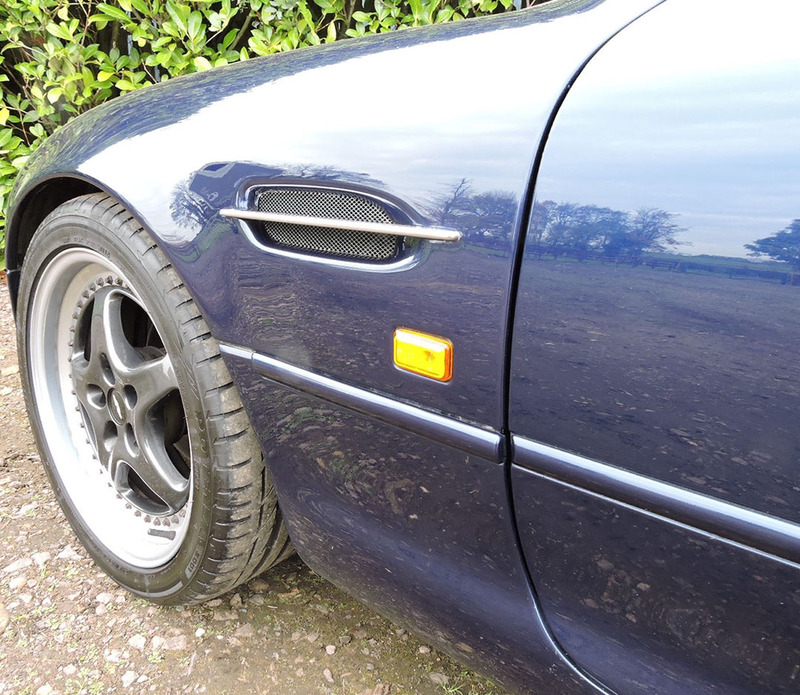 One advisory of a nearside brake binding slightly which has been fixed. 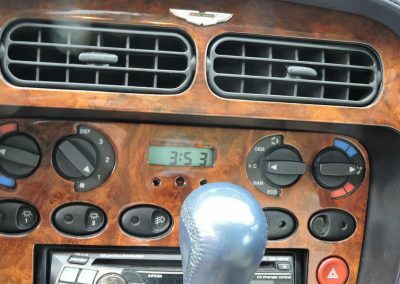 The DB7 has the following equipment. 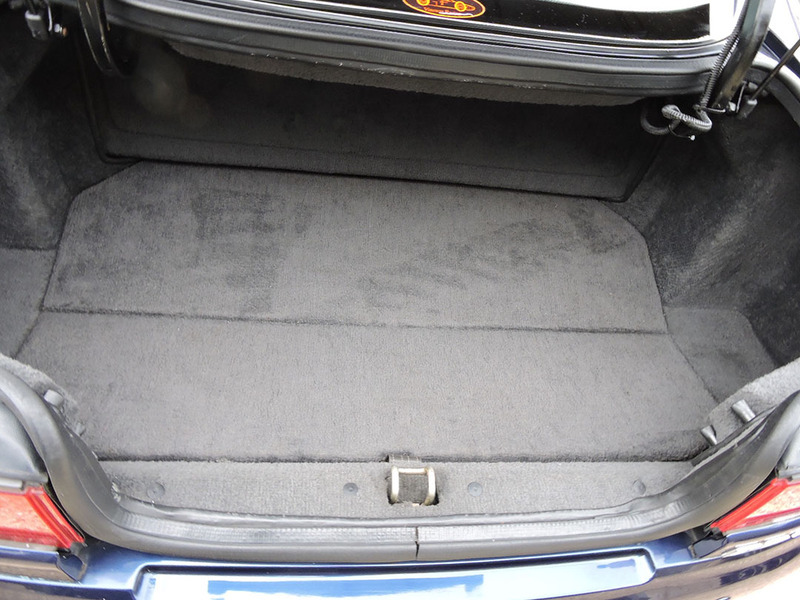 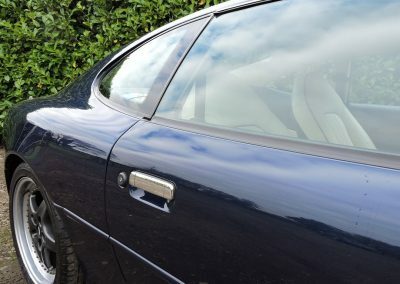 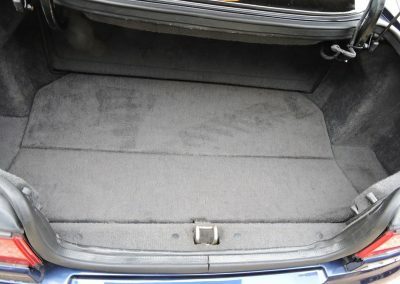 The Mendip blue paintwork presents in very good order with a deep shine and only a few stone chips and scratches. These are commensurate with the cars age and mileage and in my opinion, don’t detract from the cars appearance. 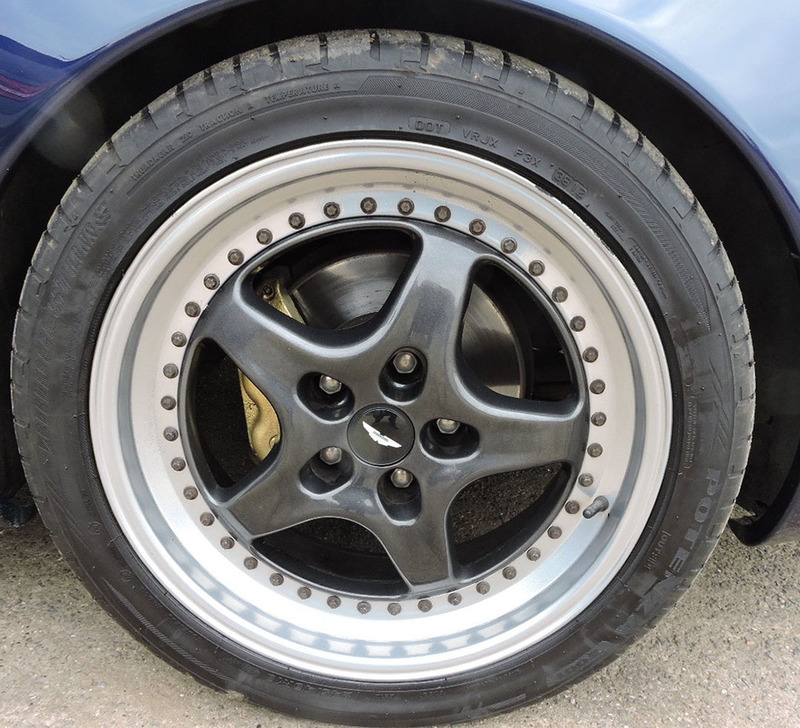 The 18-inch alloys have had the centres painted in the body colour and are in good condition. 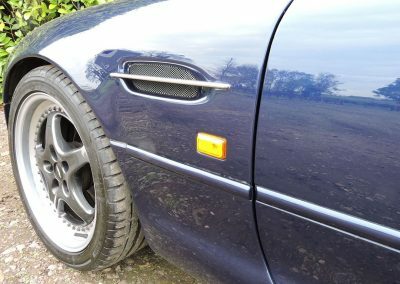 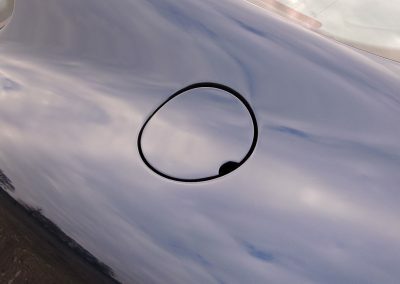 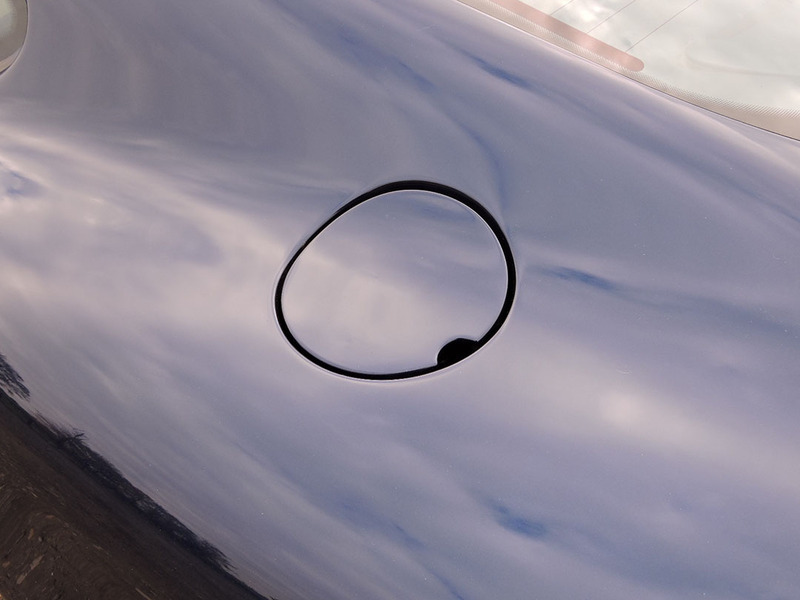 There is a small kerb mark on one of the alloys. 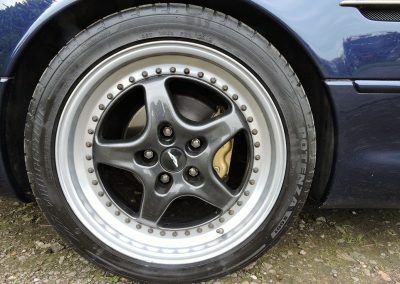 The tyres are nearly new Bridgestone Potenza’s. 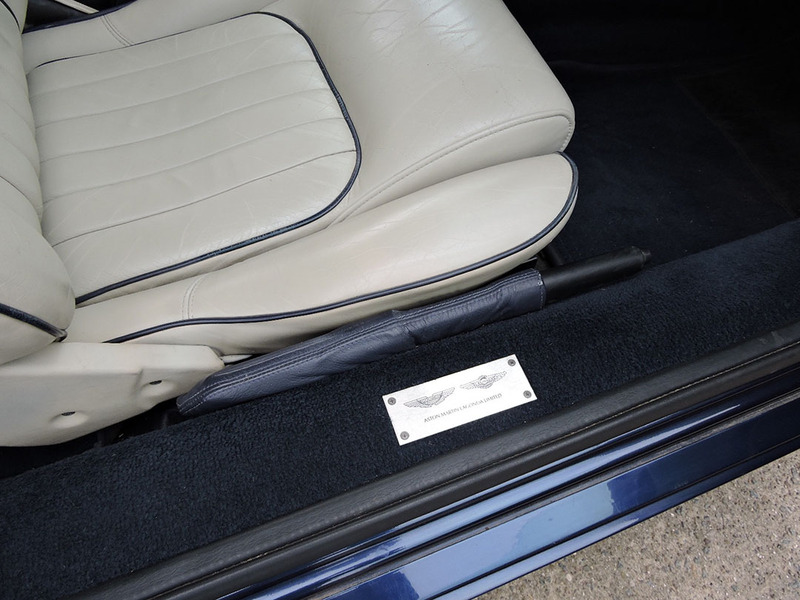 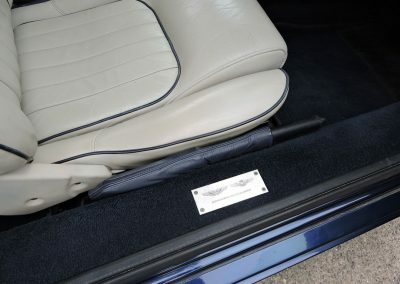 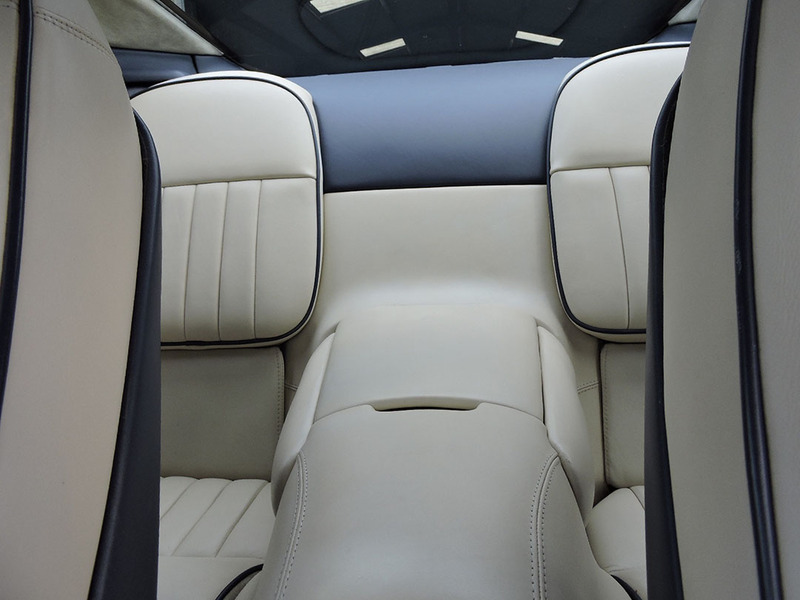 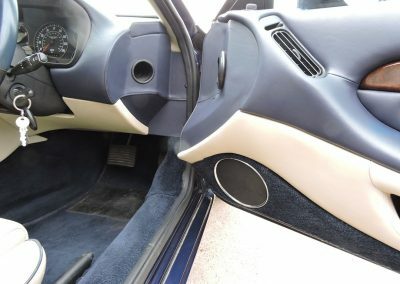 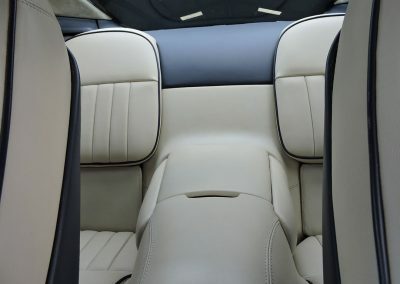 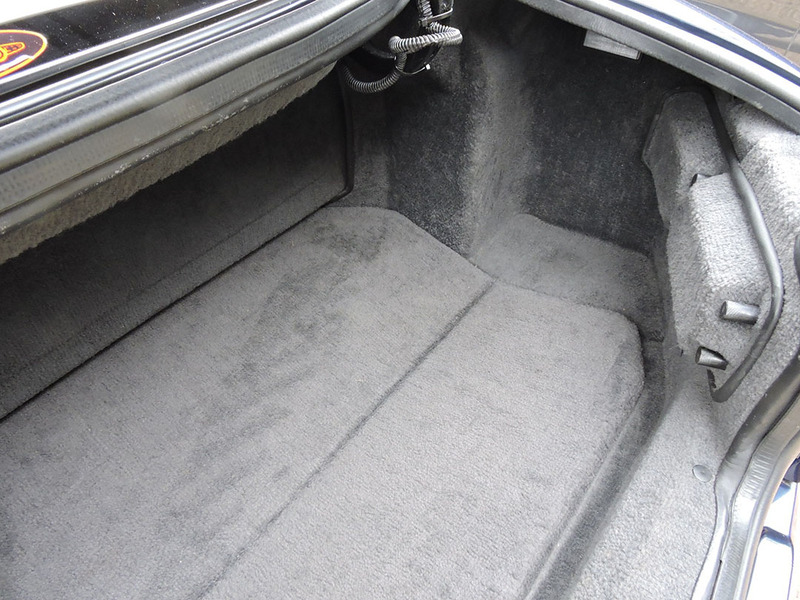 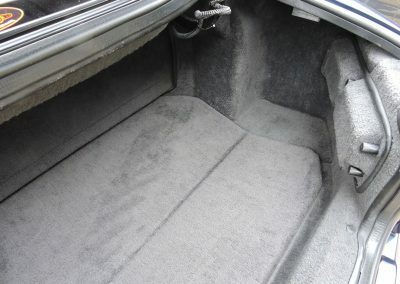 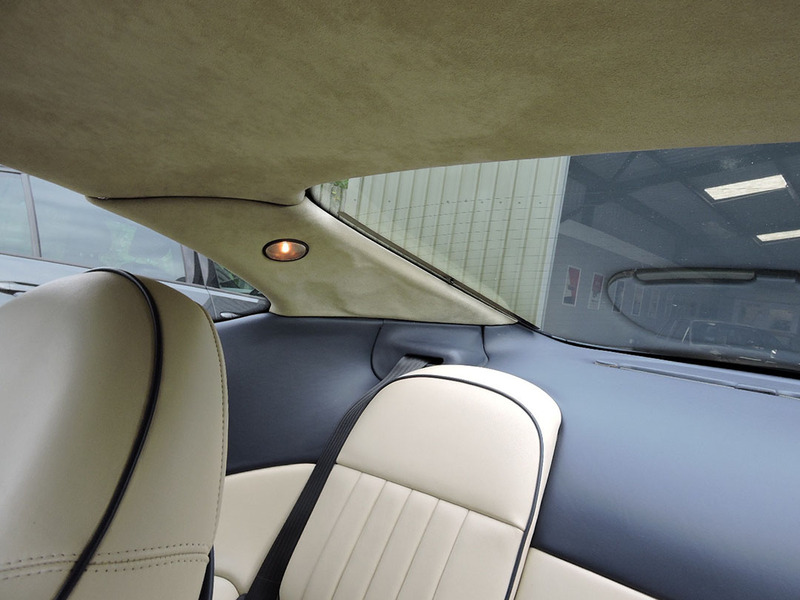 The parchment Connolly hide extends to the doors with navy door trims and dashboard and contrasting piping on the seats. 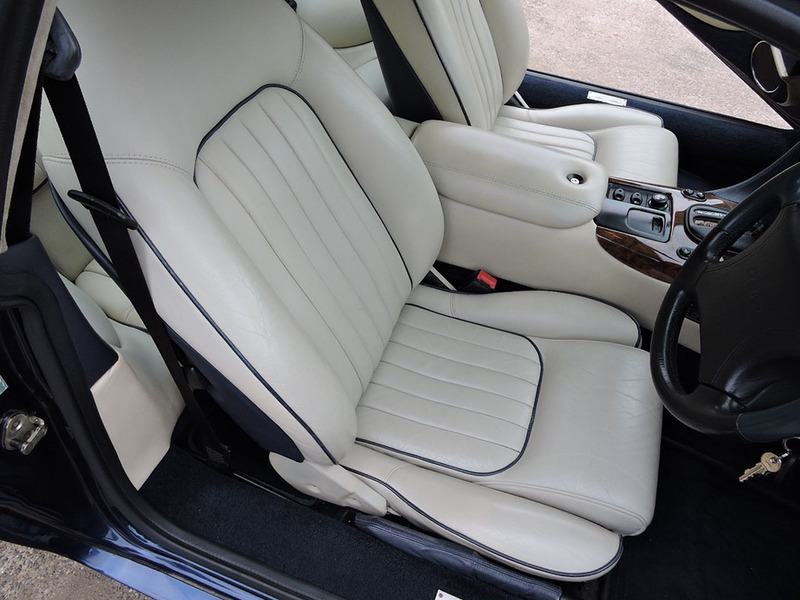 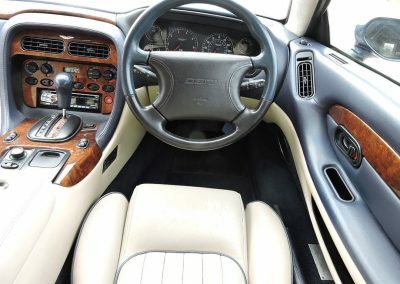 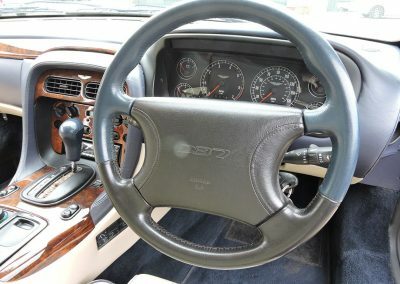 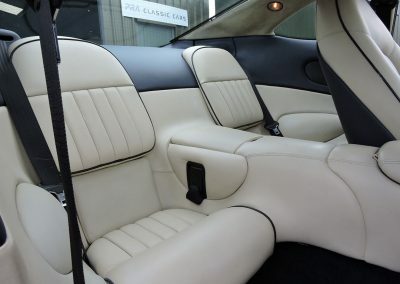 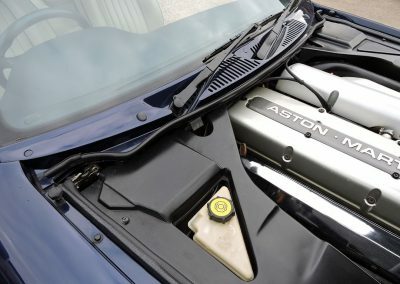 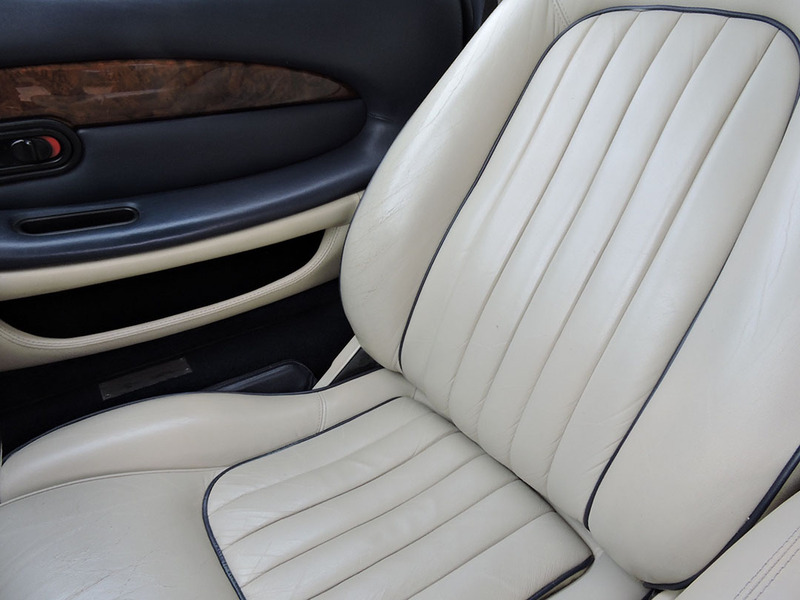 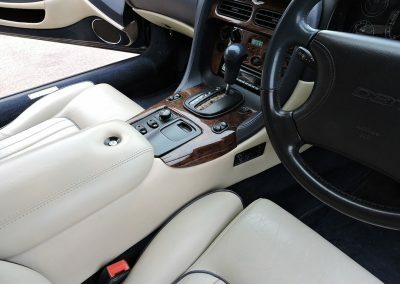 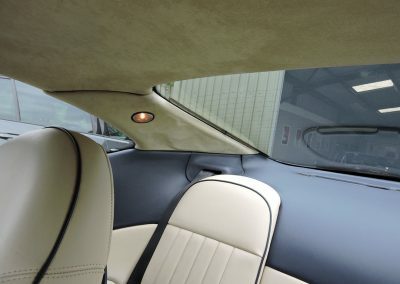 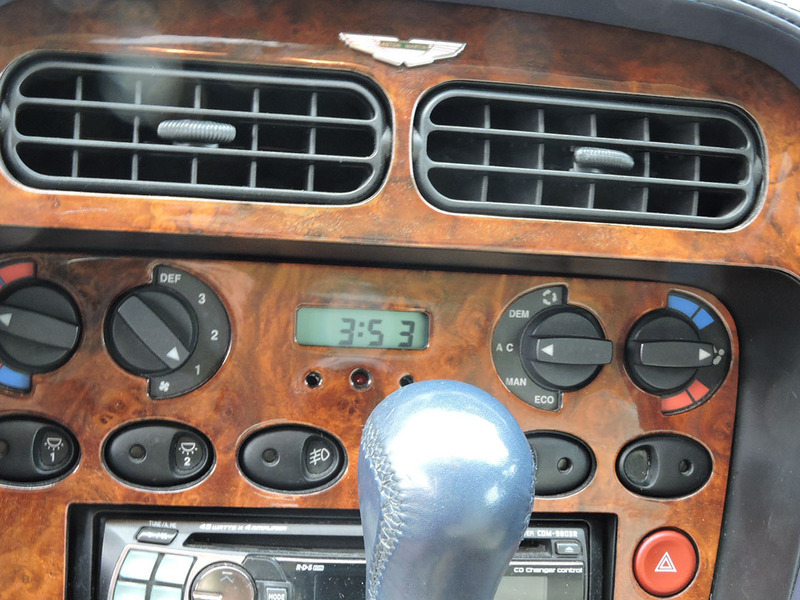 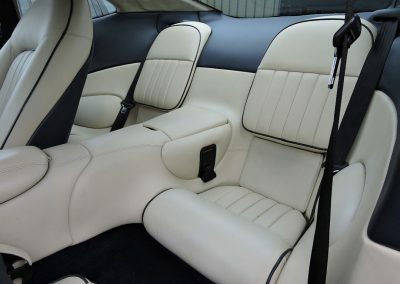 This Astons cockpit is stylish and in a lovely condition with only minimal wear on the driver’s seat bolster. 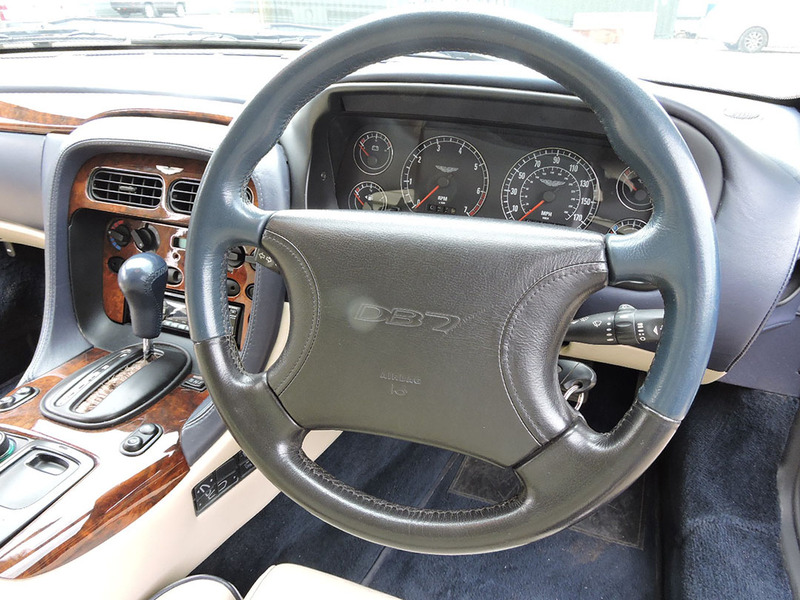 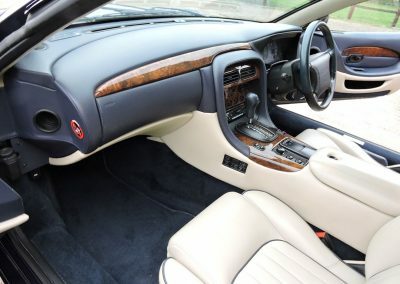 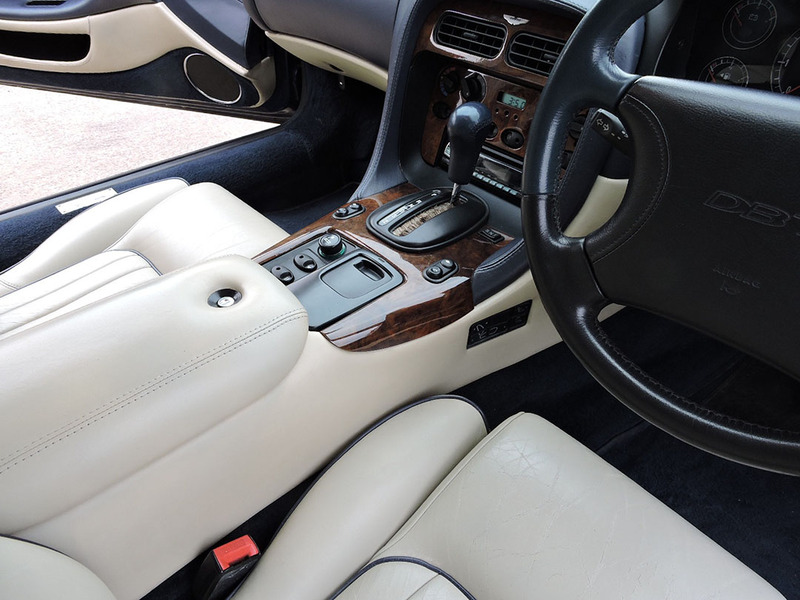 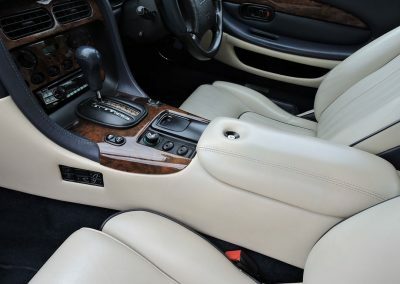 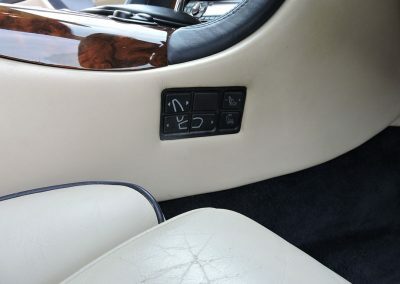 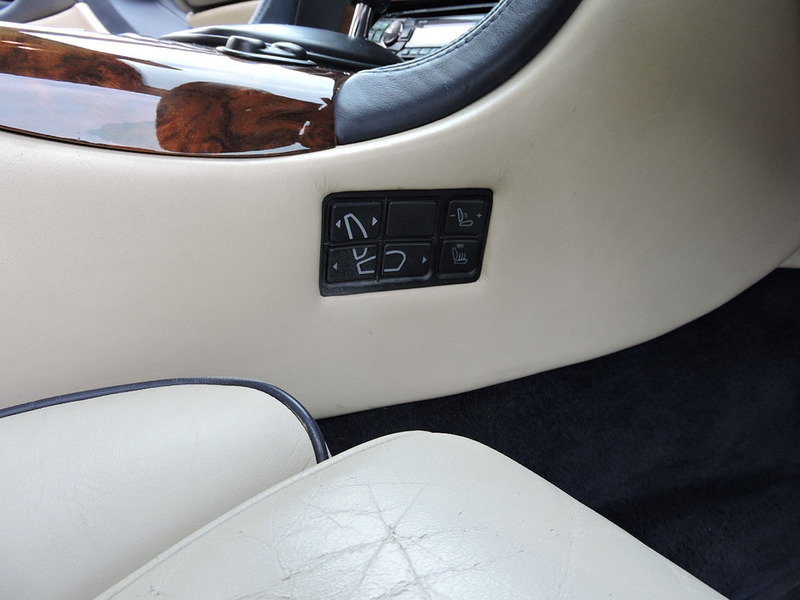 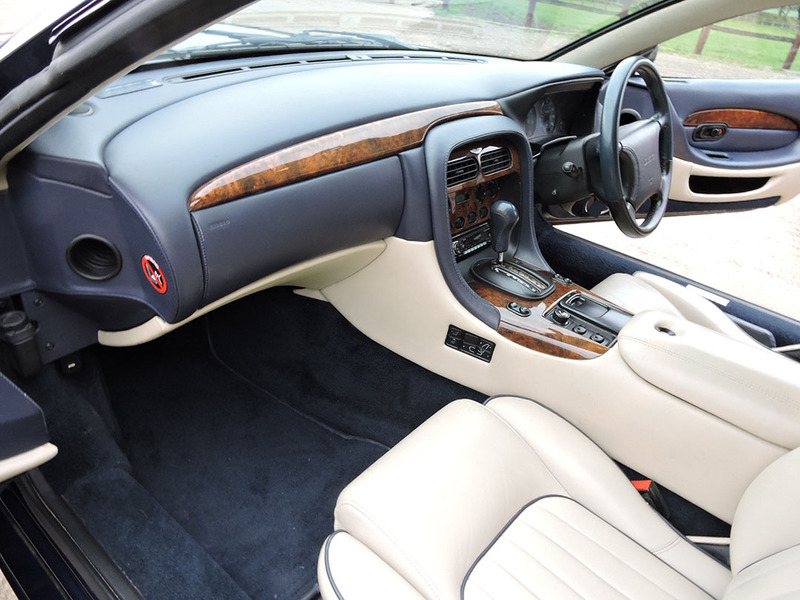 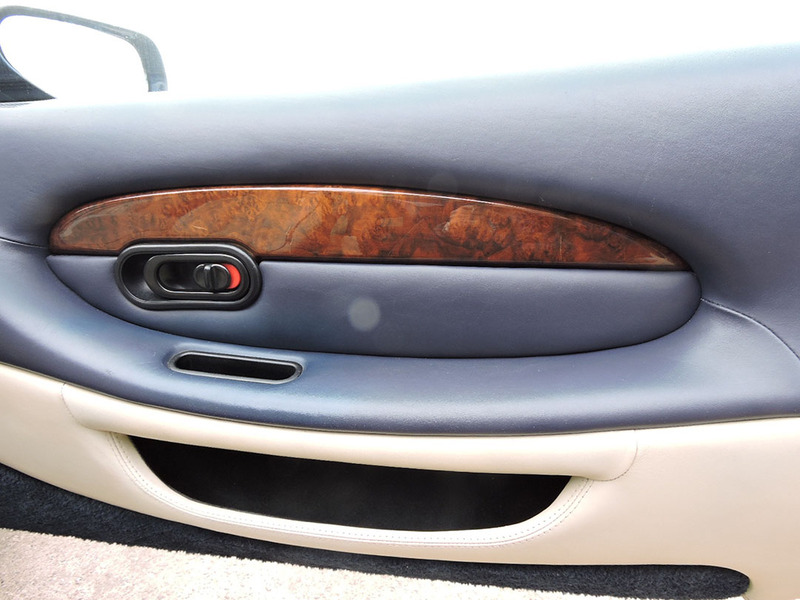 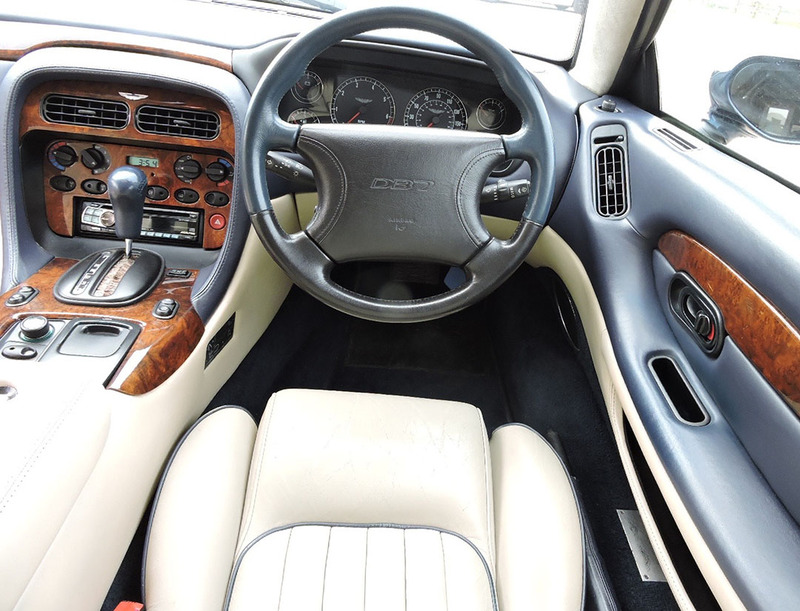 The interior is hand crafted and has the finest burr walnut and crisp, uncluttered instrumentation and controls. 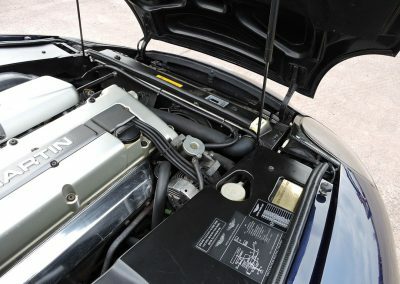 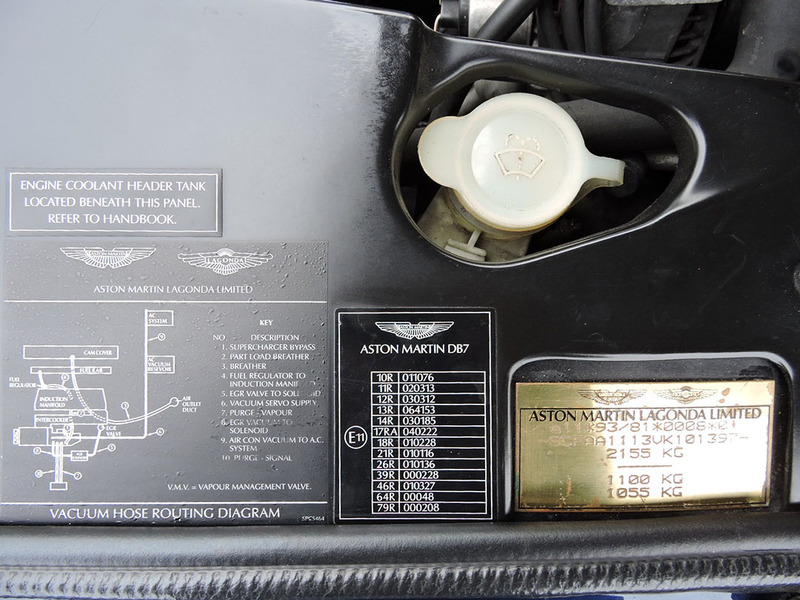 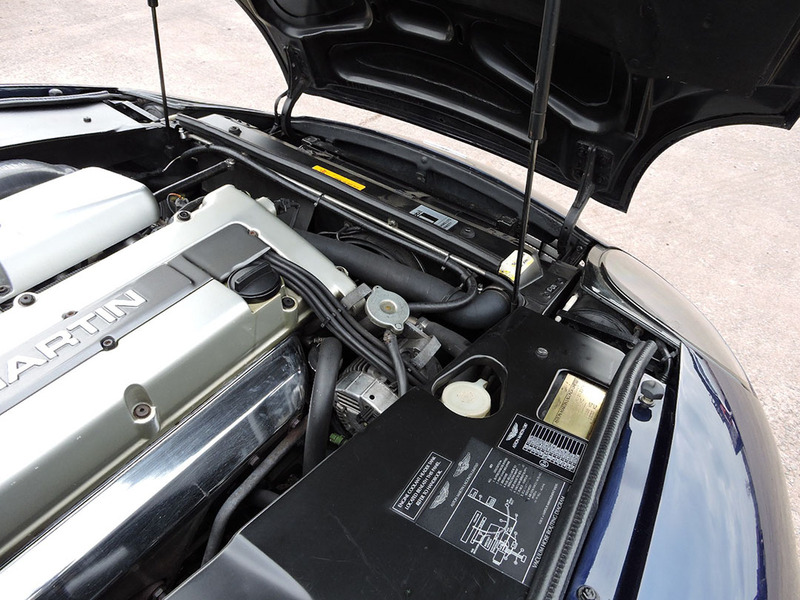 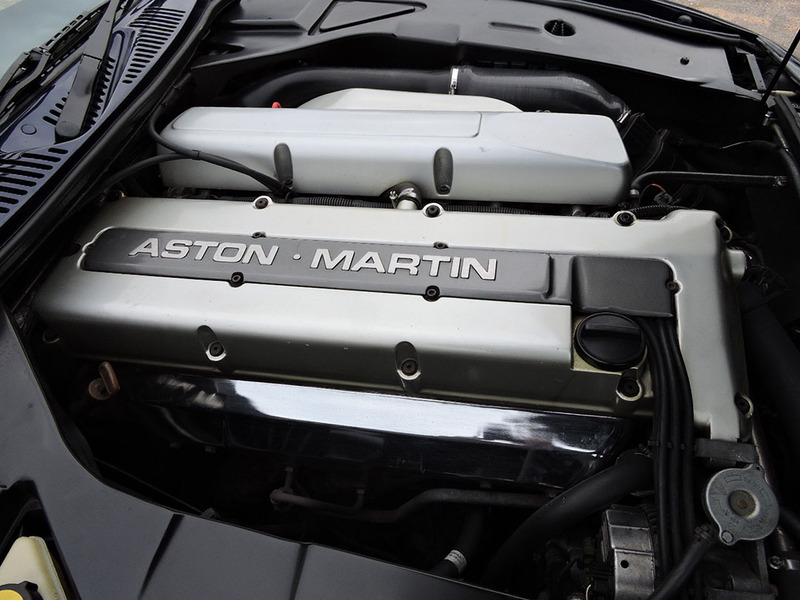 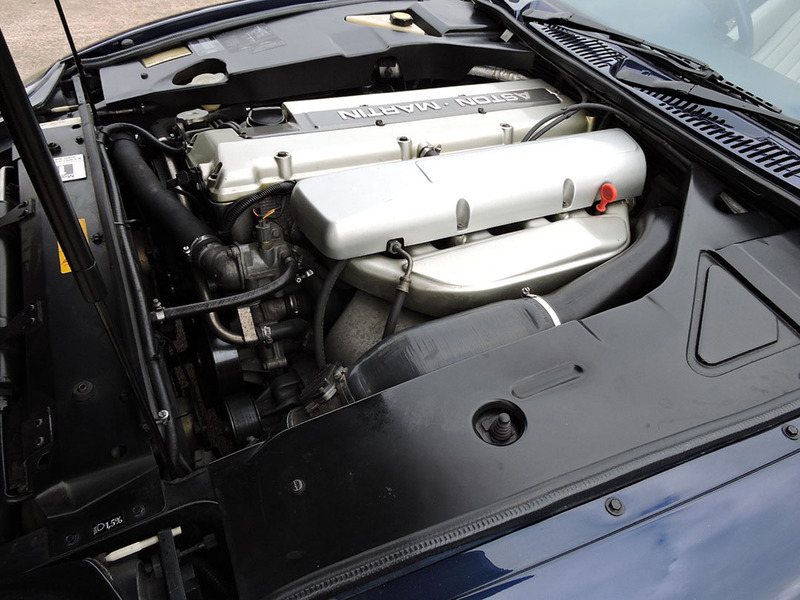 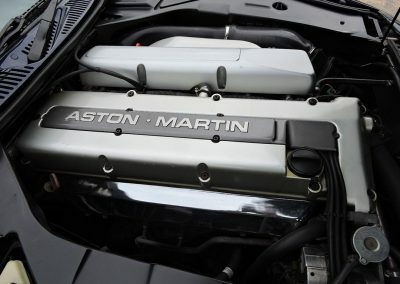 The engine in this DB7 is the i6 supercharged all alloy straight 6 cylinder. 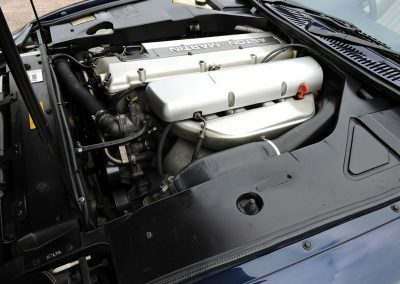 It has a capacity of 3236 cc and produces 335 BHP. 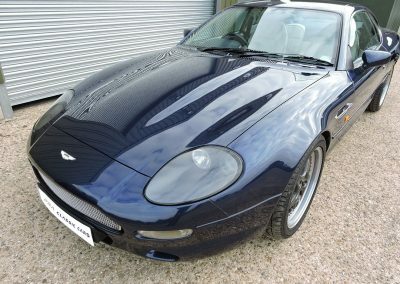 With a top speed of 165 MPH and a 0-60 MPH of just under 6 seconds this car offers fantastic performance. The Eaton M90 supercharger ensures an instantaneous throttle response and with 360 lb ft of torque is delivered effortlessly with just a hint of whine from the supercharger. 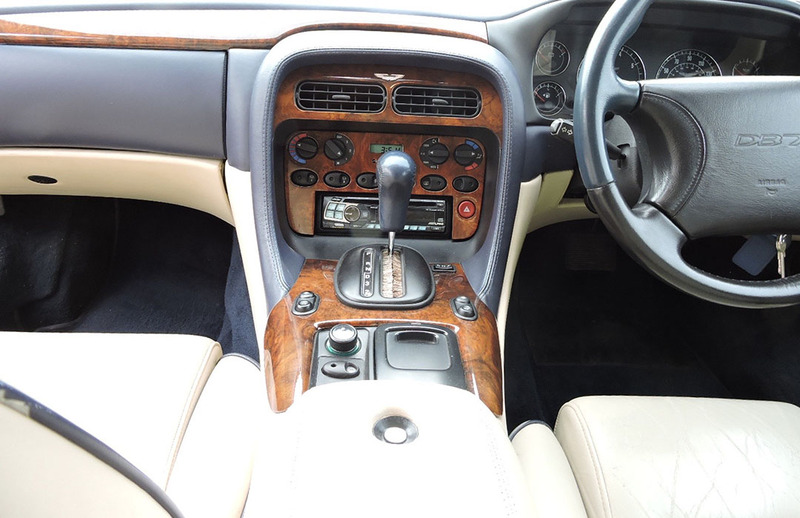 The engine is smooth and refined as you would expect, and the 4-speed auto box performs as it should. 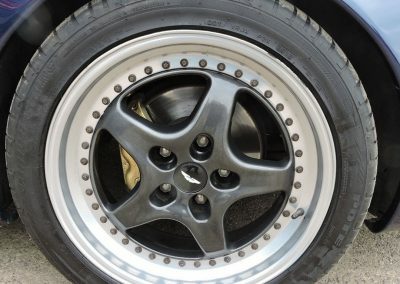 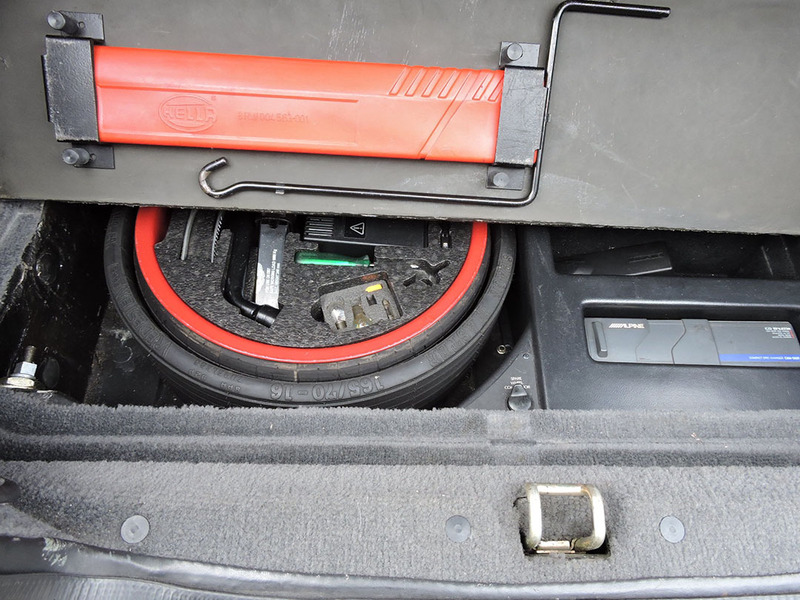 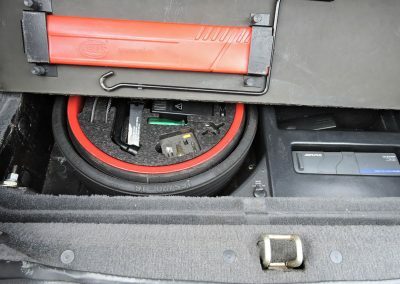 The brakes offer sturdy levels of stopping power and pull the car up straight and true without any drama. 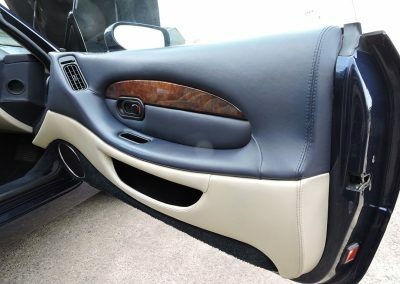 We are not aware of any mechanical issues with this car. 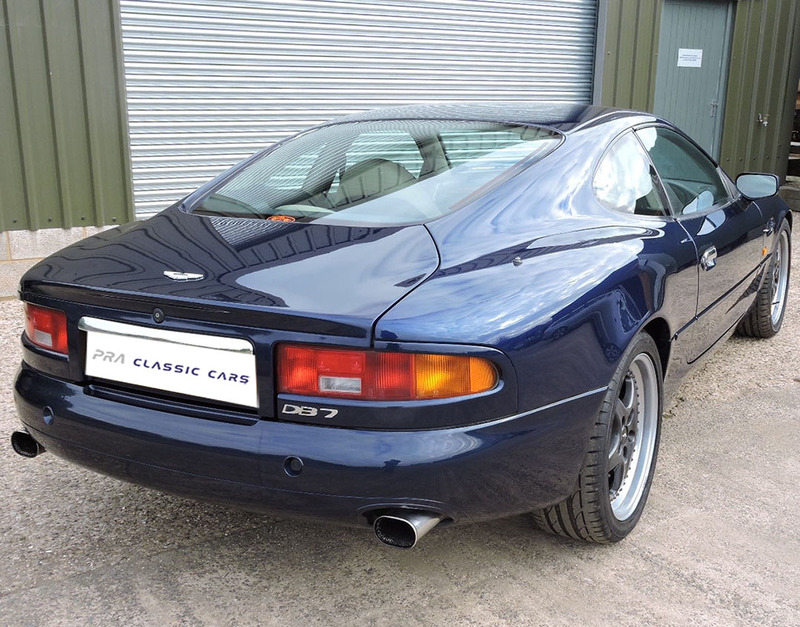 With prices of good DB7s increasing in value this car has investment potential and represents excellent value.